Acrylic paint on canvas, collaged ocean debris plastics collected from South Point Beach (Ka Lae), Hawaii. 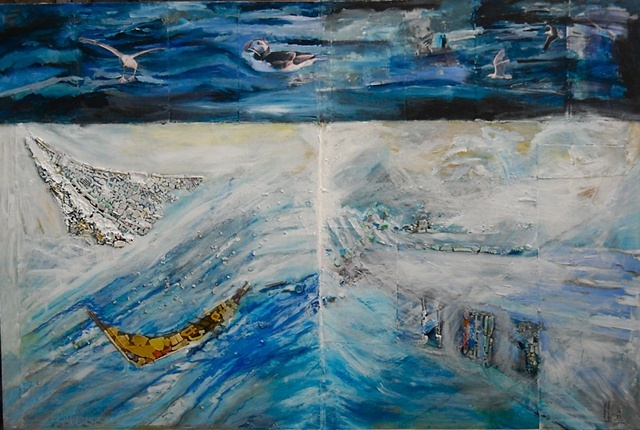 Collaged and painted into photos on canvas of Icelandic marine birds. Photographs are by Christina Heliker.